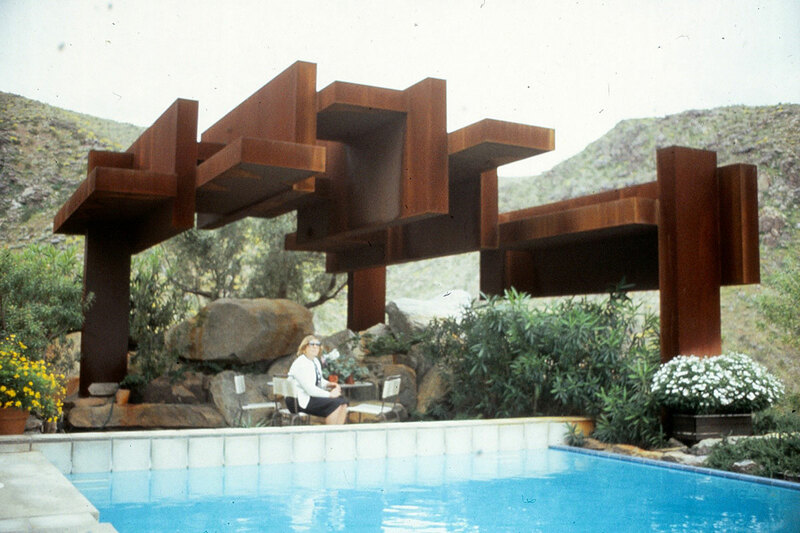 The poolside photo features Kay Pastorius enjoying the newly installed shade gazebo in the popular Palm Springs area. 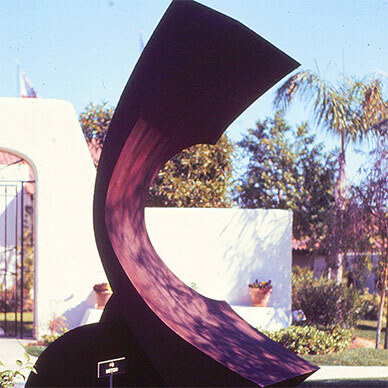 Another resident in the complex was the first to install a Pastorius sculpture titled “Portal” also an expansive Corten sculpture. 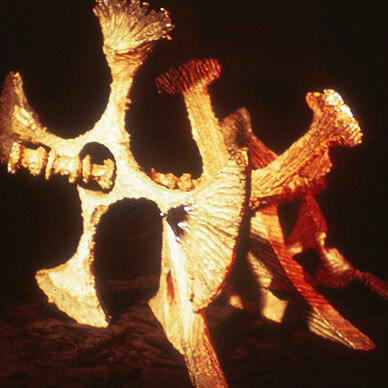 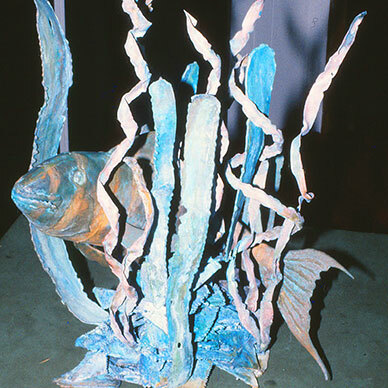 Pastorius’s outdoor sculpture is also in such notable Palm Springs collections as that of Sonny Bono, Dr. Cohen, William Holden, Steven Maloney, James Meade, and Kathryn Zinner.